Hello Everyone!!! 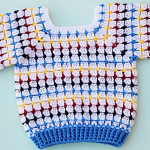 If you are looking for a simple and quick baby jersey project for you baby girl, then this very interesting video tutorial is just for you. We hope you will enjoy watching it and have fun. 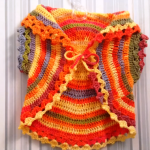 Dress your baby up for any special occasion. This jersey is perfect outfit for birthday party, holiday or for photo shoots. You can choose any color you wish according to your taste. Make your baby happy and comfortable. 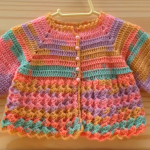 The video tutorial will guide you step by step during your working process. 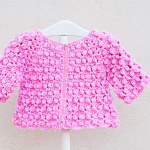 This jacket is also excellent gift for new or expectant mum. Good Luck!! !